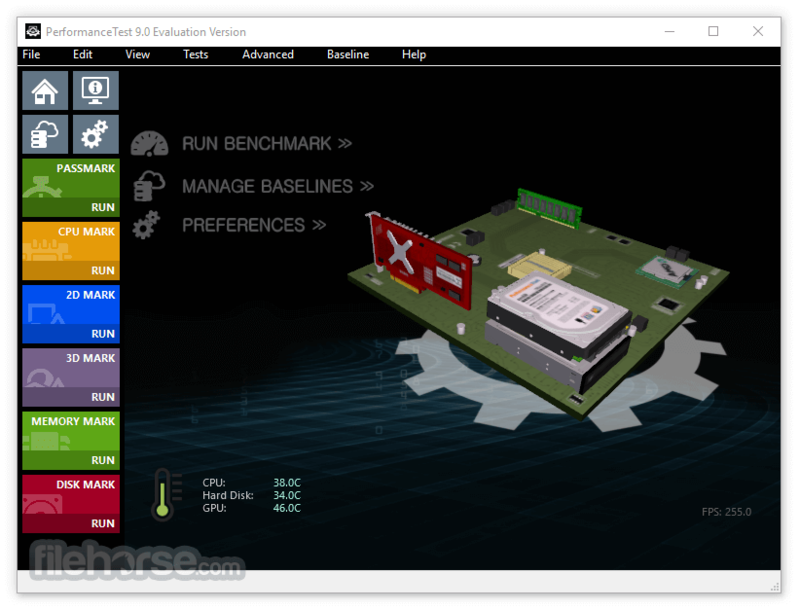 An award winning Windows PC hardware benchmark utility! 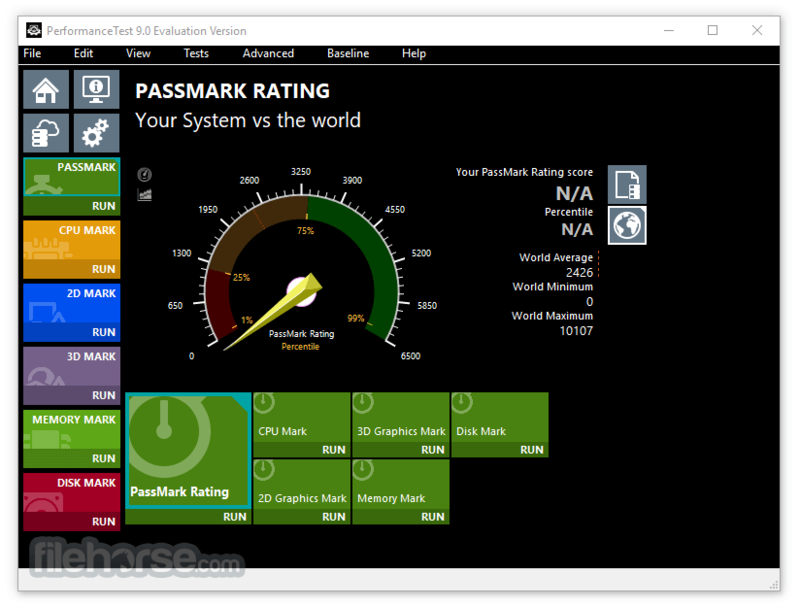 PassMark PerformanceTest allows you to objectively benchmark a PC using a variety of different speed tests and compare the results to other computers. Fast, easy to use, PC speed testing and benchmarking. In addition to the standard tests, there are 5 summary results plus the overall "PassMark Rating" result. The benchmark results are presented as easy to read charts so that you don't need to spend hours studying the number to know the result. A major advantage is the support for built-in baseline results which allows you to compare computer systems (a baseline is a standard set of results from another computer). These baseline results can be used to determine how fast your computer is in comparison with other computer systems. PerformanceTest comes with six baseline results as well as the ability to search and download thousands more from our online database of user submission. 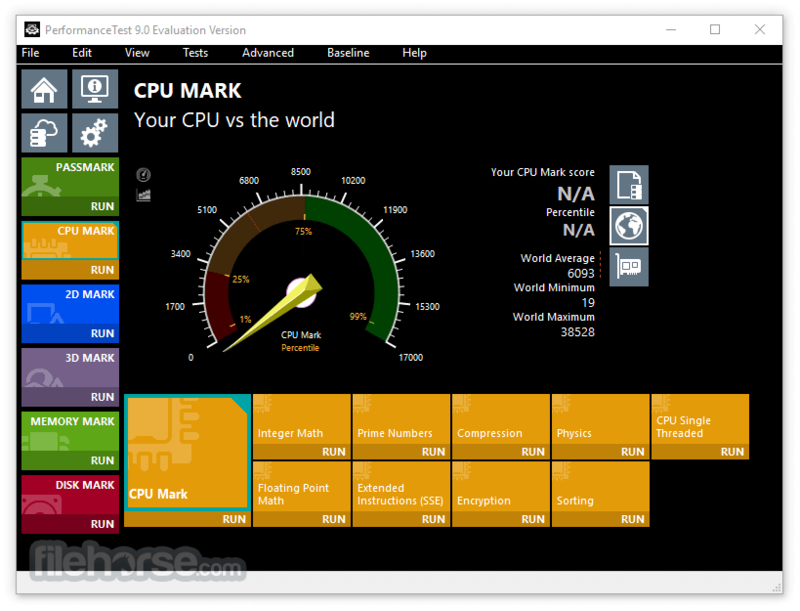 Download PerformanceTest for Windows PC Now!